The Clays Golf Members Club has agreed to invest in some new modern software – Howdidido.co.uk. Howdidido is an online handicapping, scoring and competition booking tool, which will allow members to book, analyse rounds and download your handicap playing record and certificate online. The new system will be installed on Monday 23rd April and will be active from Tuesday 24th April. 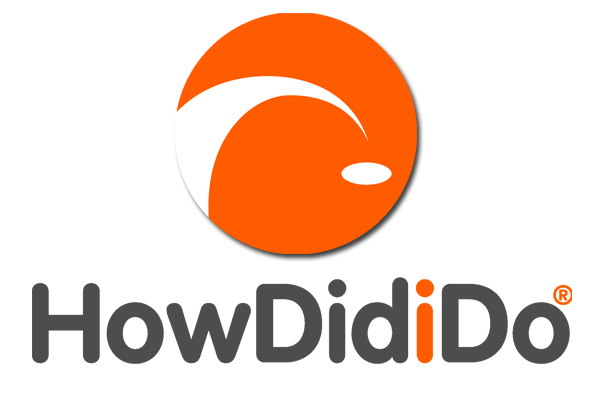 Socialise and connect with your fellow Clays Golf friends using HowDidiDo! Use the timeline to interact with other players and be notified of your friends’ updates. You can even arrange honours board matches. Stay up-to-date with the latest news, upcoming fixtures and competition results. We will bring you the latest news and stats and integrate them into your timeline so you can view all the data in just a few clicks. There’s been a lot happening off the course this month and the biggest news of March was the official announcement of our new Club Captains (Chris Jones – Right) and Ladies Captain, Dawn Thompson along with Club President Bob Brown. We wish you both all the best for the year and we’re sure you will do a great job! The official Captain’s Drive In Competition was unfortunately postponed due to the wet weather and the re-scheduled date for the drive in will be posted shortly on the new members area. Paul Lloyd and Josh Green are now through to the second round of the Wales Golf Victory Foursomes Matchplay Competition after beating North Wales Golf Club 4 & 3 at Abergele Golf Club. The Victory Foursomes consists of 10 matchplay rounds against Golf Clubs from all over Wales. Paul & Josh will now play Henllys Golf Club (Beaumaris) at a neutral venue towards the end of this month. This year Clays Golf have two teams entered into the Annodata National Matchplay Competition. Team A consisting of Mike Jones (Captain) Stephen Hart, Ian Connell, Don Wraight and Graham Davidson-Clarke played Church Stretton Golf Club (Away) winning 3-2. Weather was showery at Church Stretton and the course mountainous, a true test for all. Clays Team B consisting of Paul Lloyd (Captain), Iwan Bonds, Gareth Roberts, Dave Riley and Patrick Mchugh, played Burslam Golf Club at home in their first match and won 4.5 – 0.5. The best of luck to both teams in their next round! If you would like to get involved and represent the Clays Golf teams in matches and away competitions please email enquiries@claysgolf.co.uk and we will put your in touch with the relevant Captains. Congratulations to Michael Mchugh on winning the Easter Hamper Competition which has raised £80 for our Captains Charity which kindly donated by Shirley and Gareth Roberts. Great news if you’ve got a ticket, bad news if you haven’t – our first social event of the year – Cheese and Wine Evening has now SOLD OUT! We will be promoting our next social event shortly. The draws for the 2018 honours board knockout competitions will be done on Monday 23rd April and will be posted online for your viewing on Tuesday 24th April.